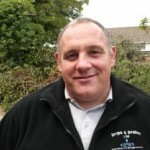 East Grinstead Plumber Chris Peters 0791 7852384. City & Guilds qualified CITB trained fully insured and over 30 years experience and knowledge all back up with the right tools and machinery and a nice personality as well as I will turn up when I say I will. I also cover all surrounding towns at no extra charge including Lingfield , Crawley , Forest Row ,Tunbridge Wells , Redhill , Reigate, Edenbridge , Oxted. I have been carrying out plumbing & drainage as a East Grinstead plumber for over 30 years and I will always be a plumber in East Grinstead upon have always be providing my plumbing services , and, we clear blocked toilets , sinks , drains , sewers , and drain repairs and installations. .
We take great pride in the service that we provide to our customers as East Grinstead plumbers and we also do an emergency plumber service and work a 24 hour / 24 / 7 service. We also unblock drains and have all the right tools and knowledge to clear all blocked drains in East Grinstead that we come across and we also carry out drain repairs including both full dig ups and no dig repairs and can provide you with a drain inspection survey using our drain camera. We are your local East Grinstead Plumbers and provide a reliable plumbing and drainage service at a reasonable cost. As a small operation and not a big company, we care what service we give to our customers. You can depend on our work being to a high standard with that extra attention to detail that you may not get from larger companies. We also provide a 24 hour 24/7 emergency service. The service is provided within a 30 mile radius of East Grinstead including Crawley, Tunbridge Wells, Haywards Heath, Forest Row, Burgess Hill , West Hoathly , Lingfield, Edenbridge , Godstone , Blindley Heath , Tunbridge Wells , and many other areas in the South East. We install showers and can carry out shower repairs in East Grinstead and over the years we have also done lots of water mains installations and repairs of burst water mains. 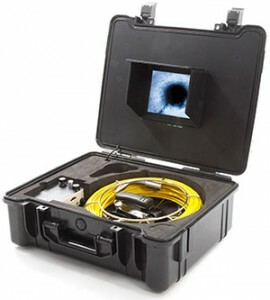 If you require a drain inspection we can provide this service to you using our drain camera to carry out a drain CCTV survey inspection of your drains. And if there are any faults we can advise you on the best way to remedy the faults using our years of drainage knowledge that we have.